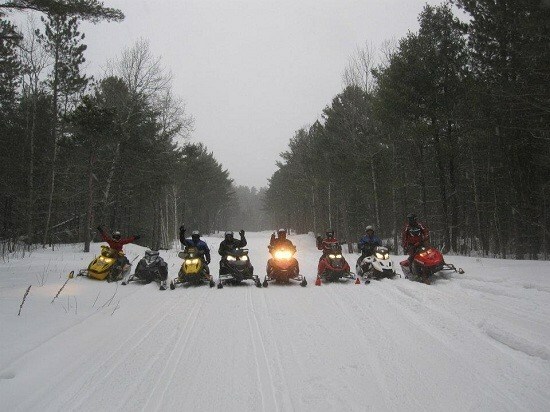 The trail segment represents the largest user base in the snowmobile industry. With hundreds of thousands of kilometres of groomed, mapped and signed trails in Canada the riding opportunities are bountiful. 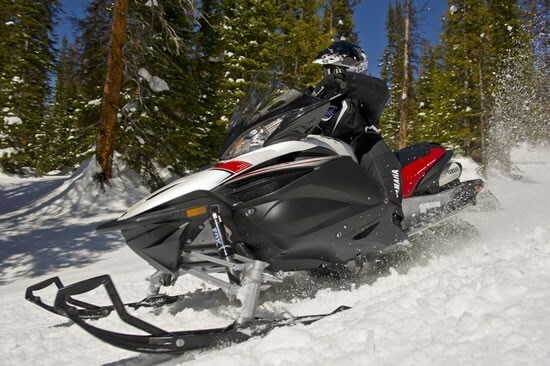 Snowmobiles in this market segment are generally recognized as a hybrid of the other four design types. 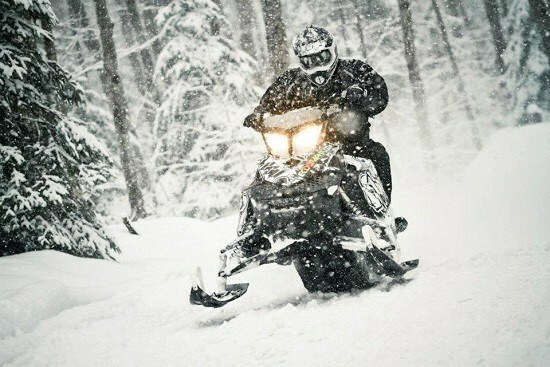 Trail sleds are very versatile and perform well in a vast variety of conditions and riding styles. Arctic-Cat offers the popular F570 / F5 for newer riders or those that simply don't require 120+ horsepower. From this base model we move on up the "get going" scale to the Pro Cross X and Pro Cross XF model lines. The Pro Cross X model line is diverse offering both two stroke and (turbo charged) four stroke configurations, these shorter in length track models are known as being the kings of the 'tight and twisties' as well as the wide open lakes. The model line-up has evolved significantly from the revolutionary Arctic Cat ZR series which ruled snow cross in the 90's. The XF model line-up brings longer, deeper lugged tracks which increases snowmobile performance in deeper snow and over seriously whooped out trails. 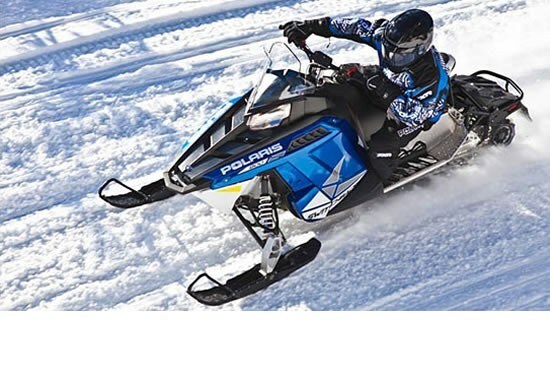 Polaris has re-invented one of the best-selling snowmobile names. The Polaris Indy ruled the early 90's and was known for its durability and reliability; many are still found today out running the trails. The Indy has a remarkable 600cc engine under the hood that will run with the big boys on almost any trail. The Indy's little sister is the IQ shift, this capable and stylish full feature 550 is a perfect beginner sled. Polaris has been widely recognized as a top leader in the design and calibration of suspension systems and this is reflected through the Rush, Adventure and Switchback models which all have a rear progressive rate suspension that delivers a bottomless ride. Additionally, all three model lines deliver a wide range of power plants from the 600 Liberty to the Clean fire Injection 800R. Ski-Doo leads its trail line up with the historic and capable MXZ snowmobile. The MXZ is bred from Ski-Doo's successful race program. Ski-Doo is known for introducing game changing technology and this model is no exception, they did it in 2003 with the REV and again in 2009 with the E-Tec. The MXZ brings forth a comprehensive package of innovative ergonomic designs coupled with tried and true Rotax engine platforms. From the 'you can't kill them' 550f and 600 carbureted engines who have over a decade of real world testing, to the power house and fuel efficient 600 & 800 E-TEC, the MXZ is an extremely trail friendly machine. For those who want an engine with advanced reliability, smooth power delivery and possess an 'add-no-oil' attitude, the MXZ model is available with the 600 ACE and 1200 4-TEC engines. 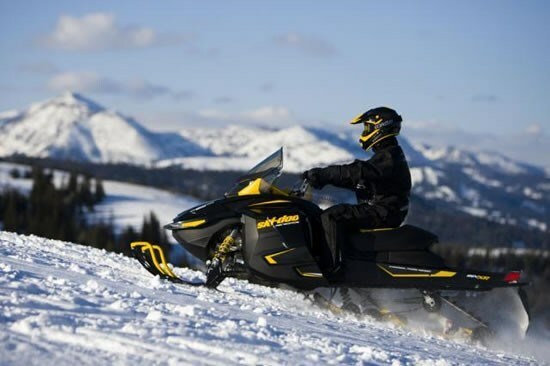 On the other hand, for those who wish to have a little of everything Ski-Doo's GSX model offers the raw performance and mogul eating design of the MXZ line-up with features and accessories from the Grand Touring line-up that has been a favorite among touring riders since the mid 1990's. Yamaha's ground breaking four stroke technologies joined with their innovative power steering, has created a team of trail cruising dream machines. With Yamaha's proven four stroke engines, the APEX, NYTRO, PHAZER and VECTOR machines offer turnkey designs that inspire confidence. Yamaha has always offered a well-rounded snowmobile that is a pleasure to drive no matter the experience level and this has never been truer than today. From the Phazer GT which is light, nimble and a fan favorite to the Apex which offers power steering, 150hp Genesis four stroke power plant and an uncanny ability to maintain blistering speeds on those long lake runs. A sub category of both the trail and Mountain design segments, the Crossover line-up is offered by all four manufacturers. These models offer the ergonomics, suspension calibrations and power plants that provide a nice balance for those who want to both ride on the trail and venture off into the steep and deep. 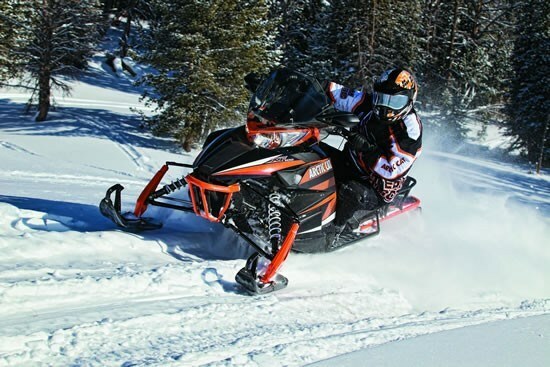 This market segment has grown in recent years as trail riders look for a capable machine to take them into the backcountry on those mornings after a big snow storm.